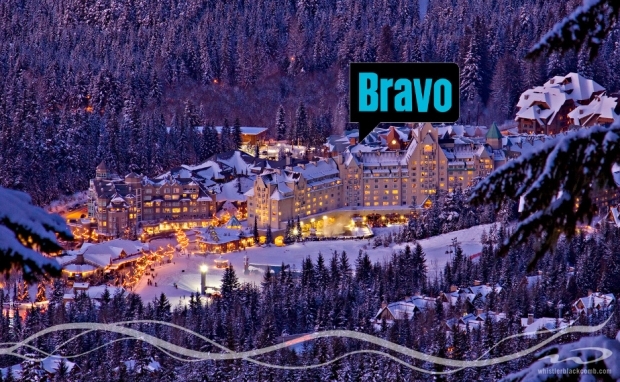 According to Bravo, this reality TV show will give a look into what happens in Whistler, the destination of the rich and famous apparently…. “When the rich and famous want the ultimate winter ski vacation, the hottest place to go is Whistler, British Columbia where breathtaking mountain adventures are only rivaled (sic) by off slope après ski extravagance. In a town where the stakes are as high as the slopes, meet the well-groomed staff at this luxurious concierge company who are the behind-the-scenes magic-makers orchestrating once in a lifetime vacations for their upscale and demanding clients’. It sounds like Geordie Shore or Made in Chelsea on snow. “Bravo continues to super-serve the most educated, affluent, engaged and loyal audience with our original content on all platforms,” said Frances Berwick, president of Lifestyle Networks, NBCUniversal Cable Entertainment, in the press release. Really? Its sounds just like the sort of thing that the educated and affluent would enjoy watching! ….um… what? Is that even English?